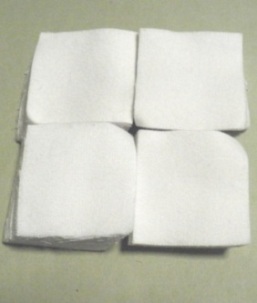 1 5/16" Square White, 100% Cotton Cleaning Patches die-cut from double napped 100% cotton. The natural absorbency of cotton fibers will safely remove fouling and fired residue. Square cleaning patches work best with a Slotted Tip Cleaning Jag. This item was added to our catalog on Friday 21 March, 2014.